Today I became a victim of my own inelegance. The mass of gauze and tape makes it look worse than it is. 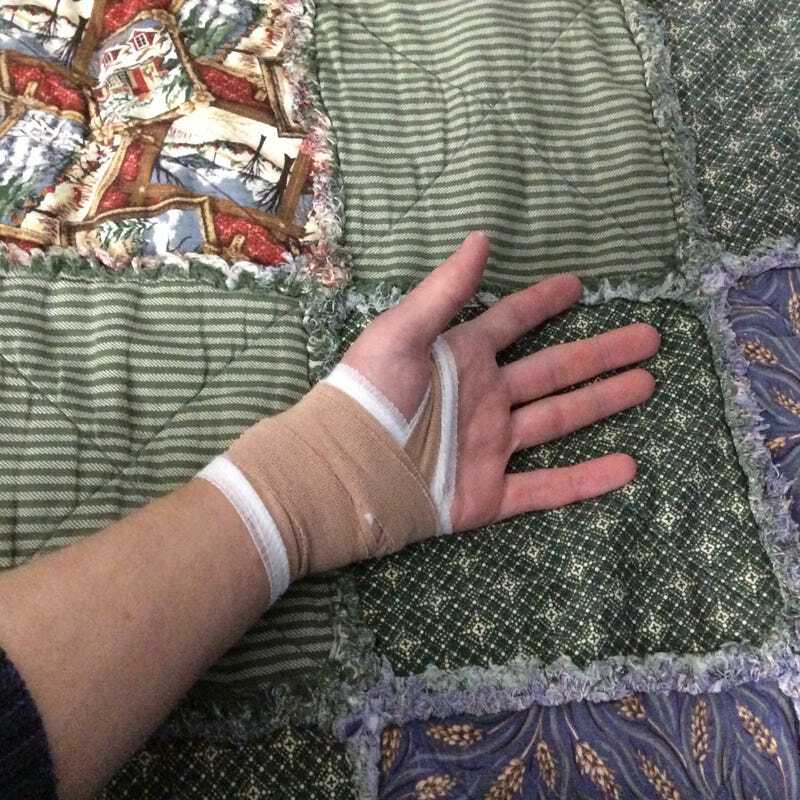 To cut a short story short, I went ice skating today for my little sister’s birthday, and took some skin off of my wrist/palm when my feet parted ways and my knees decided to get to know each other better. Those little teeth dont h*ck around. It was my first time skating, and I’ve concluded that humans weren’t designed to strap metal blades to their feet and slip around on a frozen lake. There was also this awesome older guy there who was the most graceful skater I’ve ever seen. He had to have been in his 60s, and he was skating backwards, on one leg, you name it. It’s a little embarrassing to be outskated by 5-year-olds and the elderly.